Liverpool have scored a number of top quality goals so far this season and Jurgen Klopp has been handed the tough task of picking a favourite. 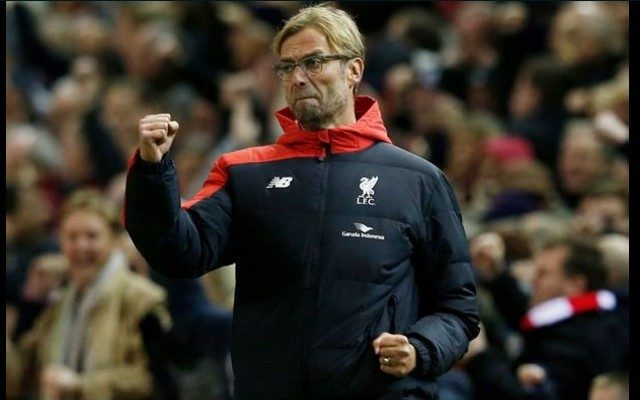 If anyone is allowed to pick three favourites, it is Jurgen Klopp. All three goals were spectacular in their own way and all three were testament to Liverpool’s attacking excellence so far this campaign. Mane’s strike at the Emirates on the opening day posed as the best way of explaining Klopp’s thinking behind the signing of the former Southampton man- pace, power and conviction. Jordan Henderson’s stunning goal against Chelsea was well and truly the mark of a captain. The way he took responsibility and took on such an ambitious shot from an unlikely range posed as the signs of a leader. Firmino’s finish against Leicester, created by the run of Sturridge, was a demonstration of the interchanging in positions that has seen Liverpool tear opposition defences apart in recent weeks. Hopefully, we get to see some more throughout the rest of the season.